It is all about Mind Control. Despite what the Youtube user TheRedPillNews seems to imply here this,, stuff is already in use in America against US citizens every day. It is literally everywhere. HDTV, Radio, CD‘s, Movie DVD‘s, Cell phones HAARP and on and on. Right now it is mostly about conditioning us to get used to weird behavioral and mood changes, ringing in the ears, dizziness etc. If you complain they will try to put a psychiatric label on you and drug you or they will explain away the symptoms as “normal signs of aging etc. Warning!! Graphic Police Brutality and Language! http://RTR.org | http://RealityReport.TV | FOX NEWS CAUGHT – This just in. FOX news channel has just been caught in a blatant attempt to distort the perception of the 2011 CPAC Straw Poll results. On the February 15th broadcast of America’s Newsroom Fox Reported the results of the win. when they opened the report they played the recording of the 2010 results rather than the actual 2011 recording. A clear difference is seen in the crowd reaction and in the attire worn by Tony Fabrizio who read the results to the audience. 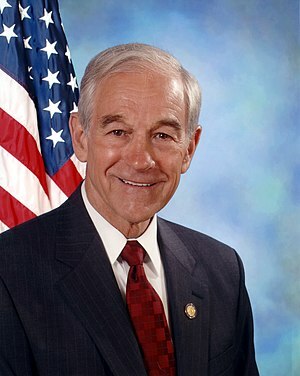 This is a clear attempt to persuade America that Ron Paul is not accepted by the majority even though he truly is. Fox is no stranger to minimalizing Ron Paul’s wins. During the 2008 Presidential Election, Fox ignored their own polling data from text Message polling and on-line Polls where Ron Paul was the clear winner. This, however, is the first time they have been caught SWAPPING footage in an attempt to sway public opinion of a Presidential contender. The first shot of the 2012 election season has been fired by the spin masters at FOX news against Ron Paul and it is time for you to act now and demand a full retraction, explanation, and apology for the false reporting. Judge Napolitano one of the only true advocates for Freedom and Liberty at the fox news channel needs to be contacted too. Contact Judge Napolitano and demand that he expose the FOX network. How the Judge reacts to this will be a true test of his allegiance to to Ron Paul. Do not delay take action now, share this video! For the Reality Report, I’m Gary Franchi. 1971 Anti-War March in Washington, D.C. Going into high school in 2001, I had no idea what the future held for me. Then 9/11 happened. I had the Bushian mentality (being raised in a staunch Republican household) of “let’s go get some,” and since he had said that I could either be “either with the terrorists or against the terrorists,” I wanted to be against the terrorists like every other American. My motivation and will to live were at their highest they had ever been after I enlisted in the Marine Corps. I thought to myself, “I am going to make a difference in this world. I am going to fight for our freedom!” I graduated from high school a semester early in January of 2005 to attend Marine Corps Basic Training. I deployed twice to the killing fields of Iraq, and I was completely oblivious to the fact that the war was based on total lies. I had friends who were maimed and murdered all in the name of nothing genuinely patriotic. I wish more of them were able to read the articles at lewrockwell.com and campaignforliberty.com before they made the fateful choice of enlisting. I barely made it out of my first deployment alive, after a few close calls with IEDS and mortars (I was a M1A1 tank driver and later a gunner), which in turn lead to the collapse of my morality. I guess it is a little difficult to keep your morals when you witness the carnage most of us have faced there, like children running out in the streets getting their heads blown off, and suicide bombers blowing themselves up and killing my mentors. I came back from the war a soulless degenerate. I started hating Muslims for what I thought they stood for from my experience in the Middle East. While on my post deployment leave I would drive past the local mosque and look with pure disgust. I would think to myself, “Look at all of these terrorists,” as I held a death grip on my steering wheel. It is amazing what war and war propaganda does to the mind. Man, was I wrong. At that point, my morality had sunk into the abyss. I started drinking heavily to help numb my hatred towards life itself, which helped pass the time until my next deployment to Iraq. My next deployment consisted of wondering around the desert aimlessly looking for “bad guys.” This was kind of a metaphor for what was going on in my mind. I felt completely lost about everything, and I thought to myself, “What the hell are we doing here?” I was discharged, somehow honorably, in 2009 and I still felt completely lost. I moved back to Ohio with my family, and I started praying like my parents always told me I should. I thought I might go into law enforcement like many veterans do, so I moved to Southern California to scope out a potential career. After a few months of praying and cleaning up my act, I started finding answers. I was living in San Diego, where I was going to school at the time, and I wanted to work in the security industry for some extra cash. I was speaking to a Vietnam veteran who was giving a class for those who wish to get into the security industry, and he completely opened my eyes to a fact that had not been brought to my attention in the Marines. He said to all of us, “The reason the U.S. has so many enemies is because we create them by not minding our own business.” Right then and there it was like the veil of deceit had been ripped from my eyes. I went home and started searching for all things related to foreign policy, which is how I found Ron Paul on YouTube. I watched Dr. Paul’s famous “What If?” speech, and I could not help but become furious. It was not because the Congressman offended me, but because he had enlightened me about just how wrong I was. I knew, as soon as I was done watching his speech, it was not a “What If” speech but a “What Is!” speech. After watching the “What Is!” speech, I was led to Web sites like campaignforliberty.com, antiwar.com, and lewrockwell.com. I started to become even more outraged after realizing that I had been lied to my entire life by my government, the media, and my history teachers. I really took a hit in the face while watching our former fearless leader President Bush jokingly say in front of the elite media “Those weapons of mass destruction gotta be somewhere.” I wonder if the thought of my fellow veterans blood-curdling screams or the children of the Middle East getting blown to smithereens in the name of protecting us from those non-existent weapons ever crossed his mind. Probably not, just like the real sounds of war haven’t entered the mind of our current chicken-hawk-in-chief, Barack Obama. Veterans Day is no longer a holiday I will celebrate, unlike most Americans who thank our service members for “defending our freedom.” I can only hope that someday all of the flag-wavers and veterans marching in the parades realize that the people of the United States have been manipulated into every war of the past hundred years, and are continuously being bombarded with propaganda to continue the wars today. Will my fellow Marines ever come to know that Major General Smedley Butler is not just the name of a war hero whose words we had to memorize by heart? Will they ever come to realize, as General Butler realized, that we are and were nothing but “musclemen” for the criminal corporate and banking cartels, and servants for the Corporatists who are perpetuating the destruction of the very idea they claim to be fighting for. I have come to this realization. I wrote this article to give some truth to the concluding statement in Mark Crovelli’s article “Kiss Honor and Morality Goodbye in the U.S. Armed Forces.” In his concluding statement, Mr. Crovelli said, “May God protect us all from this group of people whose allegiance is to secrecy, immoral war, and lying politicians, instead of to defending the people of the United States.” I believe that some sort of divine intervention, in combination with a good conscience, has indeed shown me the light towards real morality and real patriotism through articles like the ones found at this Web site and other liberty-loving websites. Furthermore, I see that many more veterans have and will come to see the light of truth. My goal is to help highlight the fact that they, like myself, have sworn to “uphold and defend the Constitution from enemies both foreign and domestic,” and that our greatest threat comes from the state itself; not the Middle East. As long we continue to educate all of those who are and were serving in the military about the constant stream of lies our government spews, they will join the true patriots and the actual fight for the restoration of liberty. Andrew Mason is a former corporal in the U.S.M.C. This film is still copyrighted and Curtis Adams gave permission to freely distribute the film in the US. No network would show this series in the US and no distributor would touch it in the US. This was a highly acclaimed series initially produced by BBC. As could be expected, the series received criticism, but it was well documented and facts are … well, facts. They have stood the test of time. It would be difficult to find someone that hasn’t seen this film anywhere but in the US and yet, the bulk of the film deals with US history. Curtis does an admirable job refraining from making opinions and sticks to facts that he had backed up on his website. He does have a bias and he gives in to making comments in the final episode for the last 15 minutes. I can see where not everyone would agree. What this film does is present a historical timeline from the beginning of the neo conservative movement and the taliban. They share some of the same sources in the beginning (50’s). That’s why I say it’s fact based. It’s verifiable history. There are many debates, that when put into context, are simplified. At least that’s what this film did for me. It cut through so much rhetoric and clutter that’s through out such that it was hard to know who was telling the truth. Not anymore. I did look to blow holes in some of what’s reported and it doesn’t work. Facts are facts. This film simplifies life. It’s a must-see for everyone in the US. It should be a crime this series wasn’t distributed here, not even on DVD..